Adult Healthcare Solutions team responsive ethics is embodied in our care philosophy. To engage in medical integrity practices ensuring the well being and positive relationship outcomes, we adhere to the following client rights and principles. Treated with courtesy, consideration and respect and is assured the right of privacy. Assured confidential treatment of his medical and financial records as provided by law. Free from mental and physical abuse, neglect, and property exploitation. Assured the right to actively participate in the planning of the client’s home care, including the right to refuse services. Served by individuals who are properly trained and competent to perform their duties. Assured the right to voice grievances and complaints related to organizational services without fear of reprisal. 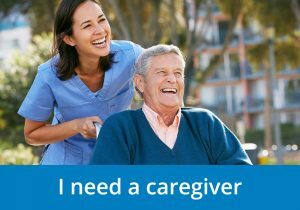 Advised, before care is initiated, of the extent to which payment for the home care organization services may be expected from federal or state programs, and the extent to which payment may be required from the client. Advised orally and in writing of any changes in fees for services that are the client’s responsibility. Provided with advance directive information prior to start of services. Given at least five days written notice when the organization determines to terminate services.